I found the perfect way to add a bit of summer to your daily ritual. If you know me, you must know that I become SO tanned in the summer it's crazy but once September/October hits up the tan leaves me so quickly. I am one that adores the sun, the feeling of heat on my skin, the gorgeous glow it enhances your face with, so I am always on the look out for the best tanning product to brighten up my harsh winters. I don't do tanning beds because that causes quasi automatic wrinkles to your face and I want to keep my youth as much as I can ;P. I try to keep it healthy but while still being able to fight the pasty whiteness when winter comes. 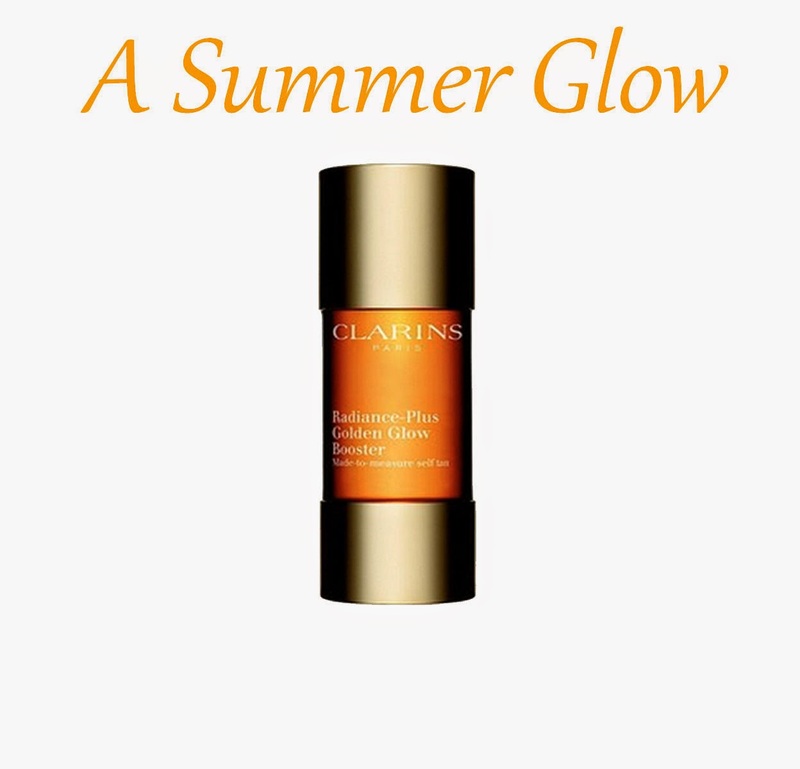 Enter the new Clarins Radiance Plus Golden Glow Booster which is basically sun in a bottle. If you have been reading my blog for a while you must know my love for the Clarins Liquid Bronze Self Tanning. This month, Clarins came up with this new invention : the Clarins Radiance Plus Golden Glow Booster Serum. Basically, this it the tan in a bottle for lazy girls (hint-hint ;p). You add 2 to 3 drops of this baby to your daily moisturizer and apply it to your face day and night. After only 3 hours you will start to notice a slight tan to your face. I promise you will not end up looking like a oompa loompa, which is the beauty of the Clarins tanning products, in my opinion. This product is a MUST try, even the palest person will see an effect. A definite must-try in my book for this summer !